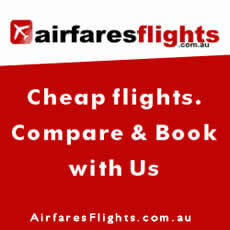 Make your Tasmania trip easy with a bargain car rental from Hobart Airport. We offer a lowest-price guarantee and the most comprehensive selection of rental brands in Tasmania. With 15 established international and local companies in our network, you’re sure to find a great deal. From hybrids to luxury cars, minivans and convertibles, or just a handy runaround to enjoy the joys of Hobart, you’ve come to the right place. Book in advance for the best deals and check out our homepage for regular updates. Genuine web discounts on Australia motorhome hire. Advanced comparison view allows you to camper vehicles, features, price side by side to find the perfect campervan for your Aussie holiday. Discover hundreds of vehicles from over 30 suppliers in 22 locations across Australia. CAMPERVAN & STATIONWAGON RENTAL/SALES! Travellers Auto Barn, winner of the 2010/2008/2007 Golden Backpack award for Best National Transport Company, offers a range of cars and campervans for the budget traveller. With 6 locations nationwide, our fleet includes HiTOP Campers, CHUBBY Campers and STATIONWAGONS with CAMPING GEAR. Longer term travellers will also be very interested in our GUARANTEED BUYBACK offers. Book online and SAVE!